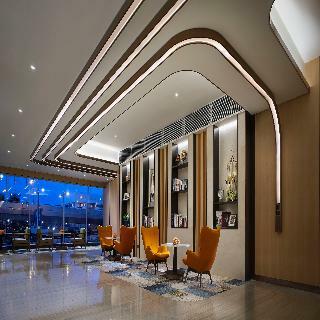 Formerly Ramada Hong Kong Hotel, Best Western Plus Hotel Hong Kong is the first hotel in Hong Kong carrying PLUS, a superior brand of the Best Western Hotel Group. 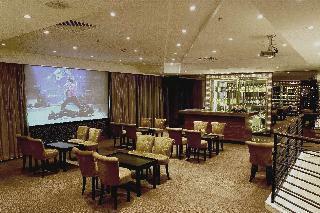 The hotel is well located at the Western District of Hong Kong Island. A traditional real Hong Kong area undergoing rapid changes, here is where you find the genuine east meets west. 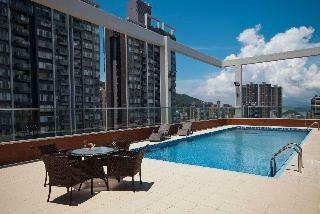 It is within a 5-minute walk to the nearest Hong Kong University MTR Station. The Macau Ferry Pier, the Central business district, Lan Kwai Fong, the SoHo Entertainment and Dining Hub, and the Airport Express Railway Hong Kong Terminus are all within a 10-minute car ride. Facilitated by the Western Harbour Tunnel and the versatile highway network, access to the HK International Airport, the HK Disneyland Theme Park, and the AsiaWorld Expo is easy with a 35-minute car ride. There is also a stop of the hundred-year-old tram service right in front of the hotel. Try this inexpensive and historic means of transportation and appreciate the city in a relaxing pace. All 307 hotel rooms and suites are tastefully designed and furnished. Coupled with their ample room size, we offer unbeatable value to meet the needs of every traveler, business or leisure alike. Guests can always stay connected with the free Wi-Fi available within the hotel property. Pamper yourself with magnificent view of the Victoria Harbour by staying in our rooms and suites on high floors. Enjoy your stay. Macau Ferry Terminal is 2 minutes' away by metro while International Finance Centre is 5 minutes' away by metro. The establishment is housed a 10-minute drive from Hong Kong Convention and Exhibition Centre and a 15-minute drive from Ocean Park. Hong Kong International Airport is about 40 minutes' car journey away.The spacious guest rooms and suites feature all the necessary amenities and have been designed with clients' comfort in mind. They all come equipped with air conditioned and features a flat-screen smart TV with cable channels, a personal safe and tea/coffee making facilities. Each room is fitted with a private bathroom. For your comfort, you will find slippers and a hairdryer.There is a 24-hour front desk at the property. Hotel lobby cafe offering breakfast, lunch and dinner. This 4 star hotel is located in the city centre of Hong Kong and was established in 1999, newly renovated in 2017. It is a short drive away from the Macau ferry terminal and the nearest MTR station is Sai Ying Pun. The Hotel has a F&B outlet, an outdoor swimming pool and a fitness centre/gym. All 343 rooms are equipped with handy phone, hairdryer, safe, ironing set and air conditioning. [Hotel Enhancement Programme]To consistently improve our facilities for our guests, we will be carrying out refurbishment works for our guest rooms from 23 April to mid-July 2019. Thank you for your understanding and we apologise for any inconvenience caused. 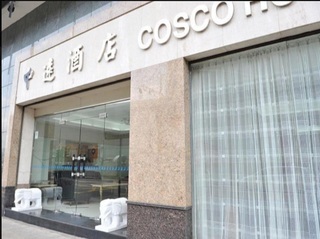 Conveniently located at Sheung Wan, 38 km from Hong Kong International Airport, this hotel is close to a number of prosperous areas such as Soho, Lan Kwai Fong, the Hong Kong and Macau Ferry Terminal, as well as the famous Hollywood Road and Cat Street. Guests can travel easily to other parts of the city with the nearby Sheung Wan MTR station or readily available taxis in the district. This air-conditioned eco hotel is the first hotel in the world to achieve the double platinum of Green certificates. To achieve this, the design and construction of the building needed to be oriented on sustainability, water efficiency and energy. This establishment was built in 2012 and offers 274 well-appointed rooms. 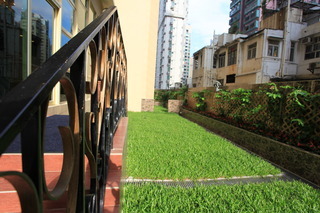 Located in Hong Kong Island's up and coming Western District, just a short drive from Sheung Wan MTR station for connections throughout Hong Kong and approximately 30 minutes transfer time to the International airport. The 283 guest rooms and suites offer a contemporary design; all Superior rooms are equipped with air-conditioning, minibar, satellite TV, safe, tea & coffee making facilities and Wifi Internet connection. Café 508 offers good value regional and international buffet dishes in a relaxed and stylish setting, plus afternoon tea and light snacks are served at the Lobby Bar. Additional facilities include a 16-metre rooftop lap pool overlooking the western end of Victoria Harbour, fitness room and business centre.